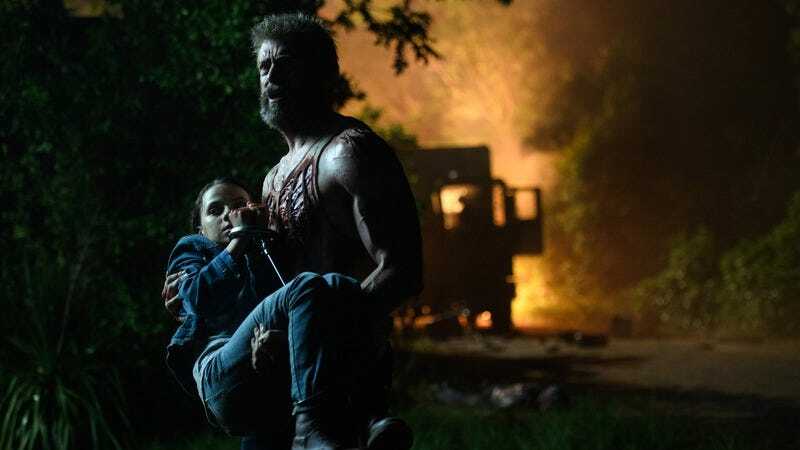 Logan, the latest and reportedly final chapter of the cinematic adventures of Wolverine, is out on Digital HD now, and hits Blu-ray and DVD next week. And to celebrate what our film editor A.A. Dowd calls “close to the Unforgiven of superhero cinema” and “a terrific movie, no ’comic-book’ qualifier required,” we’re giving away not only copies of the Blu-ray, but two original, screen-used props from the film itself. Two grand prize winners will each win a prop from the film: One, the dusty, but still usable backpack Logan (Hugh Jackman) carries in the movie, and another, the gauntlet and glove worn by cyborg baddie Macon (Stephen Dunlevy). Each of those will come with a copy of Logan on Blu-ray, which includes audio commentary from director James Mangold, deleted scenes, a behind-the-scenes documentary, and the black-and-white Logan Noir version of the film. In addition to that, we’ll be giving away three copies of Logan on Blu-ray for three more winners. To enter, email us at avcontests@theonion.com with your name and full mailing address—no P.O. boxes, please—between now and May 23 (that’s next Tuesday). We’ll pick five winners at random, and notify them through email. U.S. residents only—sorry, Canada. You can see pics of the grand prizes below.